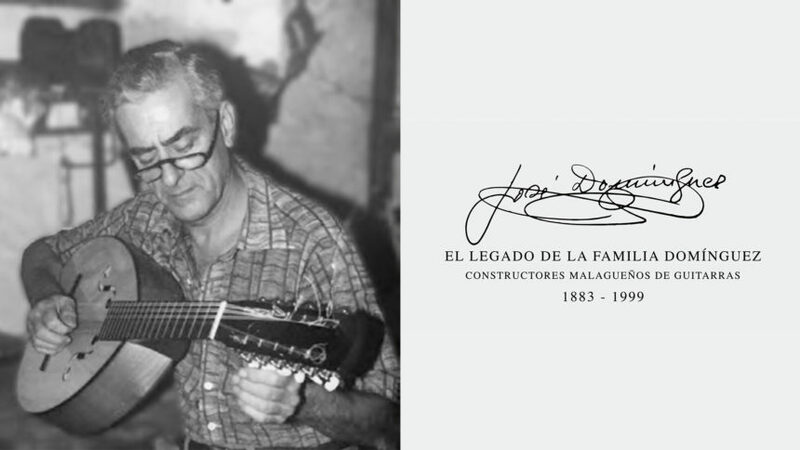 Instruments, tools, documents and templates by Francisco and José Domínguez, master guitar makers of Casa Lorca, are exhibited at the Interactive Museum of Music Málaga. The workshop of Francisco Domínguez Valderrama and later of José Domínguez García, father and son, was the only and last workshop that linked to the true school of Malaga, which dates back to the 17th century. They were the genuine followers of the tradition of the legendary Casa Lorca, whose secrets kept alive in the form of guitars that travelled the world. That is the story told by MIMMA with the exhibition ‘The Legacy of the Dominguez Family. Malaga guitar builders. 1883-1999. Among the instruments, tools, documents and original templates exhibited in the MIMMA, there is an old garlopa, a long carpenter’s brush with a handle. The wood of this tool that passed from father to son comes from the remains of the German frigate Gneisenau, which was shipwrecked in the port of Malaga in December 1900, and in whose rescue the people of Malaga were launched, for whose heroism the city received the title of ‘Very Hospitable’. In addition, a fragment of the film that Jorge Disdier and Miguel Ángel Piédrola Orta shot in 1982 is also shown, in which José Domínguez is seen working on a guitar. Temporary exhibition until April 29.